The coaster bus is a mid-sized bus manufactured by Toyota; Japan’s leading car manufacturer. 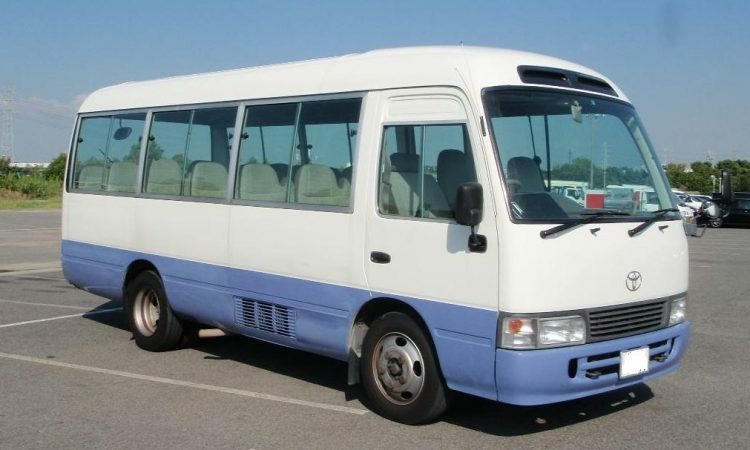 It can accommodate up to 28 passengers comfortably including driver with adequate room for people to stand which makes it the perfect car for group trips including school tours, airport transfers, city and park tours. This mini-bus has a fridge box, air-conditioner, MP3/CD/DVD players with comfortable seats with arm rests to give you that comfort you deserve during the road trip. Rent a Coaster bus in Uganda at US$ 130 per day with driver , no fuel.